Ross McWilliam, as part of the Dove self esteem programme, came to Senior School on Tuesday to speak to Year 7 about positive self image and confidence. The session was very much enjoyed by all (including the staff who participated too!). 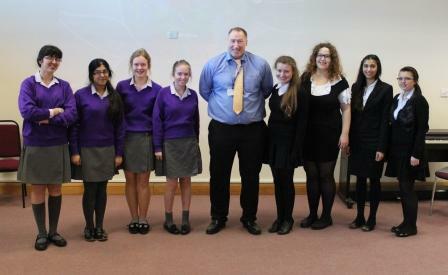 Ross very kindly then gave of his time to speak with Year 11 and Sixth Form students about exam success and motivation. Again, another inspirational session enjoyed by the students who attended.